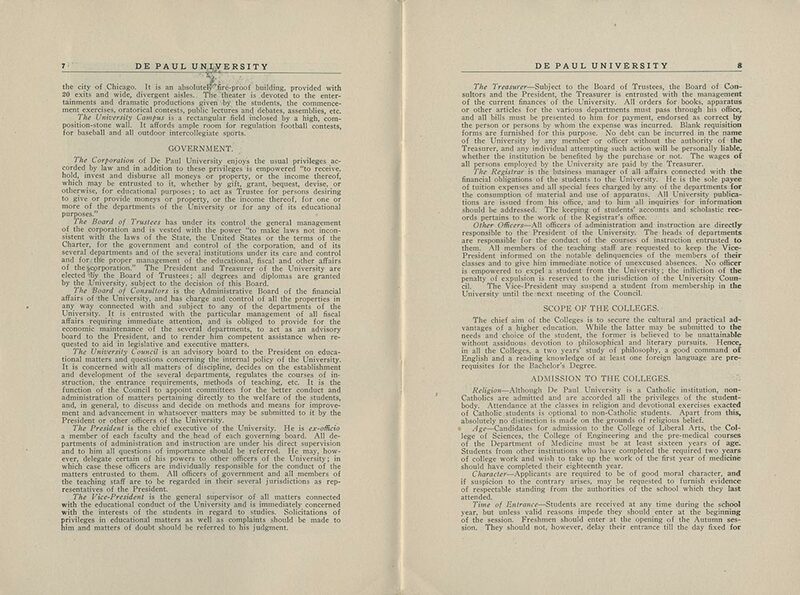 When DePaul was re-chartered in 1907, part of the university’s mission statement was to increase community access to education. 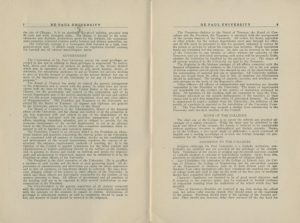 The school was one of the first Catholic universities to admit students regardless of religious affiliation, and began admitting women to its summer programs in 1911. 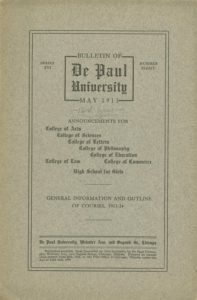 The “DePaul University Bulletin,” a yearly guide to courses and programs of study, laid out these open admission parameters to prospective students. 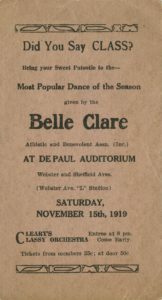 Admission of women and non-Catholics helped increase DePaul’s enrollment from under 200 men in 1907 to over 500 students in 1912. 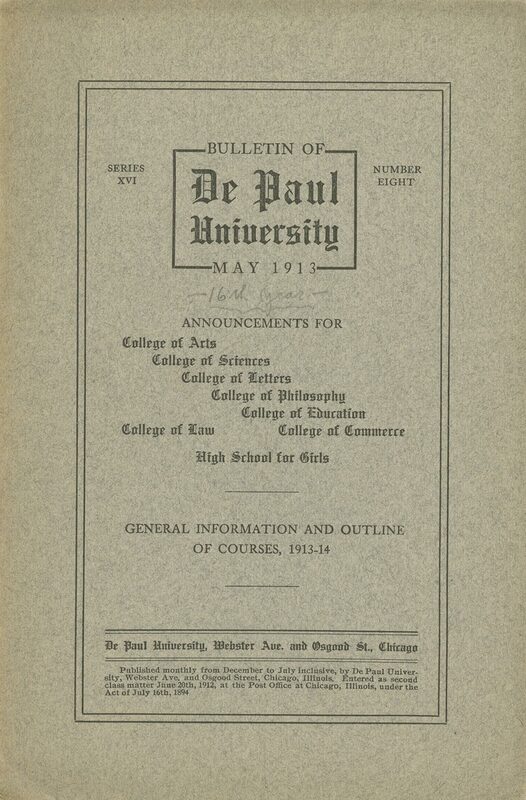 While some business classes were offered in the Loop, DePaul’s social life revolved around the Lincoln Park campus. 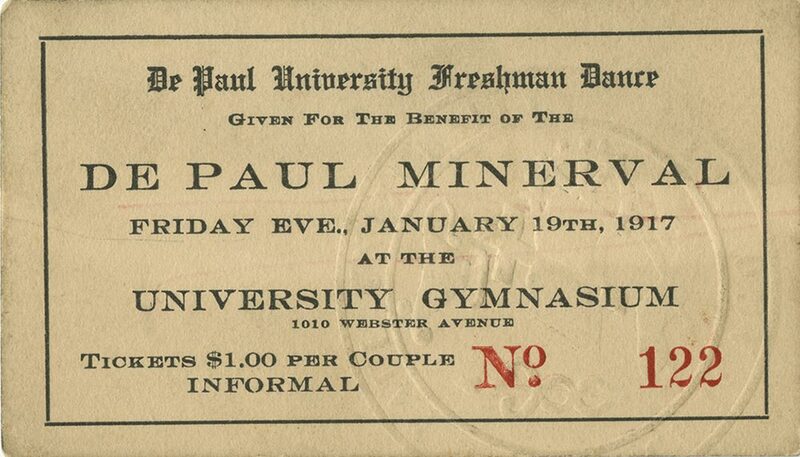 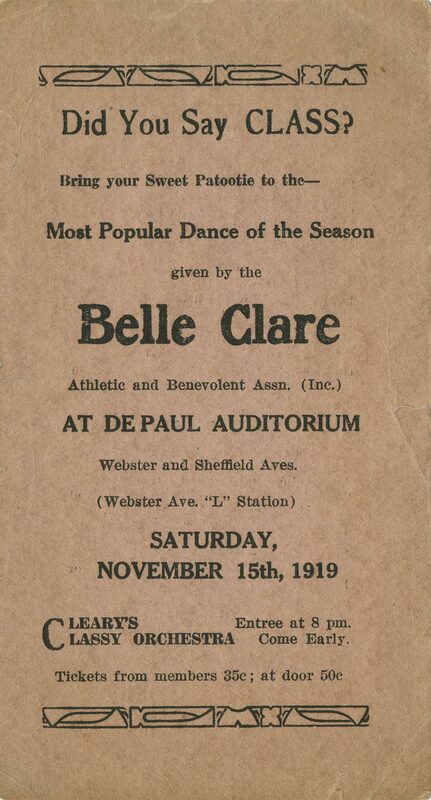 In addition to plays and films, the university hosted coed student dances, sponsored by student groups and sports teams. 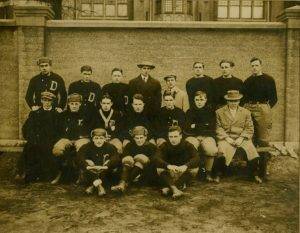 Cyril and Albert F. Ward are seated at the far left of the center row, while Joe sits first row center in the 1912 varsity football photograph. 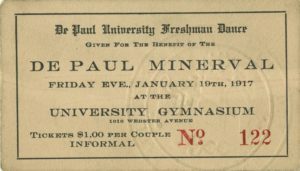 Seven Ward brothers were members of the Alpha Chi fraternity at DePaul, a social group that contributed to the school’s yearbook and literary journal, The Minerval. 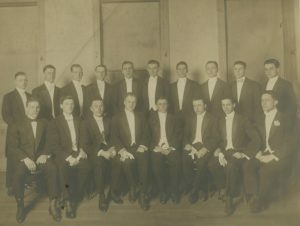 William Ward is pictured here ca. 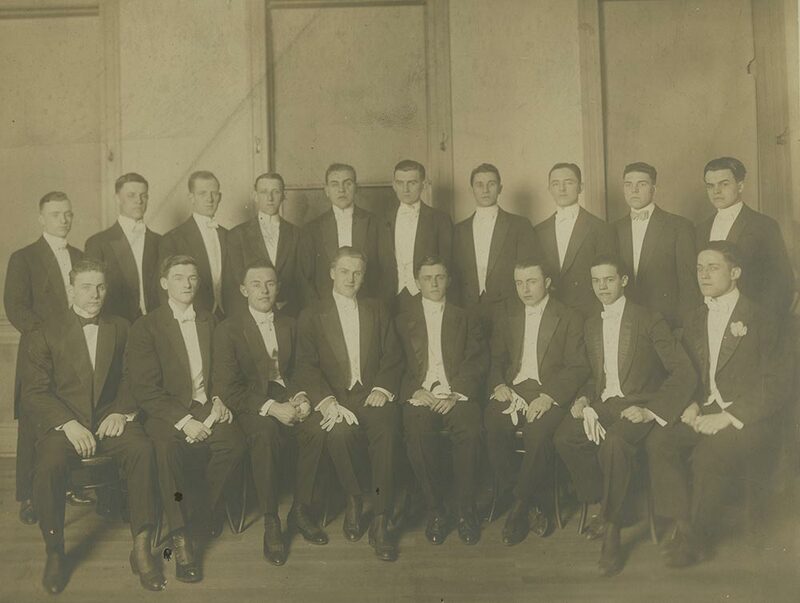 1910 in the front row, fourth from right.